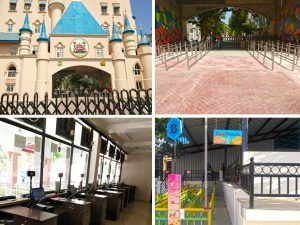 In keeping with its reputation of successful implementation of unique large scale park projects, Semnox has recently completed automation of Arved Ajwa Theme and Amusement Park India (AATAPI). Situated in Ajwa on the outskirts of Vadodara, Gujarat, this Public Private Partnership (PPP) model project sprawling over 70 acres, is considered the biggest theme park in Western India. 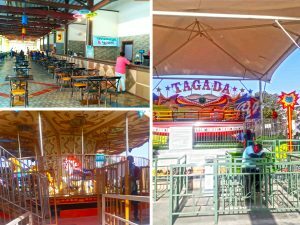 With over 60 rides, this is a great spot for a full day picnic with a large food court offering numerous options to visitors. AATAPI has chosen the end-to-end ticketing and cashless automation solutions offered by Semnox. Visitors get access to the park through automated access gates. Tickets with barcodes are used for this purpose as also for accessing individual rides, depending on the package chosen by the guests. Tripod turnstiles have been set up at every ride to enable quick and easy access without having to wait in queues for a long. RFID cards facilitate cashless transactions across the facility including the F&B area. RFID operated lockers are provided to visitors for safeguarding their belongings, while they have a good time at the park. “Semnox has been highly efficient and professional in terms of understanding our park operation, thus, successfully implementing the system in our park. With over a quarter of live operations now tested and executed, we can safely conclude that we have chosen the right system partner for driving our park operations. We thank Semnox for the continued support and being there with us always whenever required,” says Smit Shah, director, AATAPI. All counters in this park use IT hardware such as all-in-one POS machines, printers, and scanners powered by Semnox’s Parafait software. “The AATAPI project for Semnox has been one of those complete park implementation projects with end-to-end solutioning of Semnox offerings. It’s been a privilege for Semnox to be part of this state-of-the-art park facility that is one of its kind in India. It is one of those model park projects for Semnox that showcases all its offerings,” says Umesh B Prabhu, director, Semnox. Other Semnox products that the park has chosen include online ticketing solution, inventory management, and CRM to help connect with customers, offer promotions and loyalty program. The reporting module helps in granular operations management as well as analysis for seamless operations and improvements. All these make the AATAPI implementation one of the biggest undertaken by Semnox. Semnox Solutions Private Limited (https://www.semnox.com/) provides technology and creative solutions for the entertainment and amusement industry. Semnox’s Parafait suite of products is operational at over 1,600 plus sites spread across 45 plus countries.